Sometimes, sequels don't add up to the first of the series. 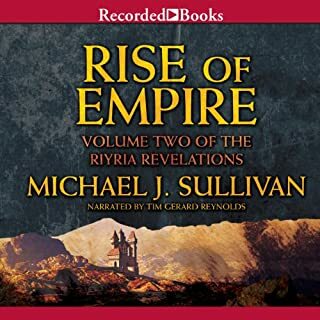 In the case of Mr. Sullivan's "Riyria Revelations", this not so. Volume 2 is just as exciting as is the first volume. The characters are fully fleshed out by now and each has his or her own path in this volume culminating in a great ending. As with the first volume, I look forward to volume 3 and expect an equally exciting story by a great story teller. I chose this book on a whim and I was very pleasantly surprised at how good it is. 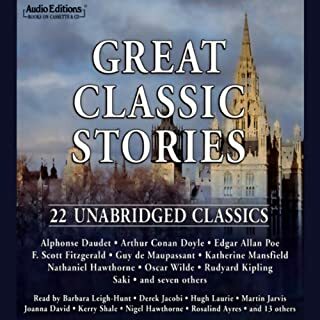 The story is first rate as is the narration. Mr. Sullivan proved to be a master story teller and I believe if we were all sitting around listening to him tell a tale, no one would leave until he was done. Mr. Reynolds' narration is spot on as well. Excellent narration. I'm a fan. 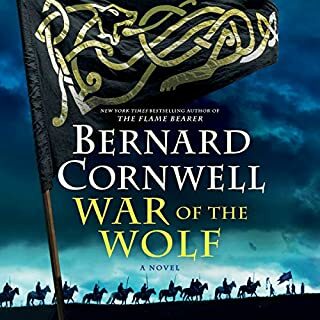 Bernard Cornwell once again proves why he is such a great story teller. The saga of Uhtred of Bebbanburg continues. Uhtred is now 66 years old but still a formidable foe for anyone. 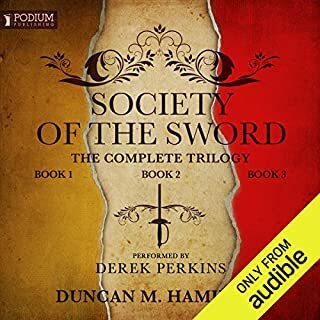 While this book doesn't feature as many battles as some did in the past, what is there is a superb tale of Lord Uhtred doing what a Lord must do to preserve his lands and avenge the death of XXXXXX. I don't want to spoil it for you. Matt Bates' narration is spot on and is believable as Lord Uhtred. The Saxon Tales is my favorite series by Mr. Cornwell and I often re read the series. The series takes place in Dark Age Britain where not a lot is known as there are very few written records. 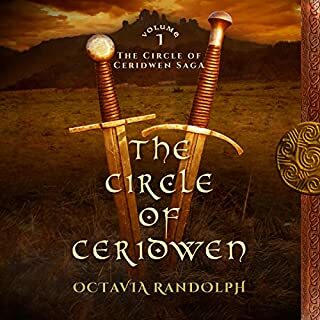 Mr. Cornwell takes real people (except Lord Uhtred) and real facts as we know them, then masterfully weaves the two into a tale that is exciting and believable. The only bad part is that now I have to wait for the next novel. 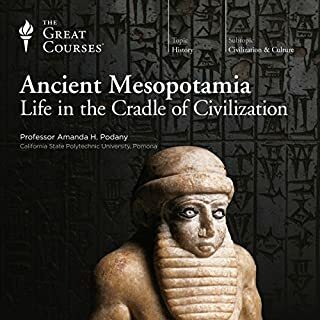 Before this course, I knew practically nothing about Mesopotamia but always was curious about it. Having listened to this course, I am better informed about it and motivated to learn even more about the history of that area. Dr. Podany's narration was clear and understandable. What a treat! I love music but am not a student of music. 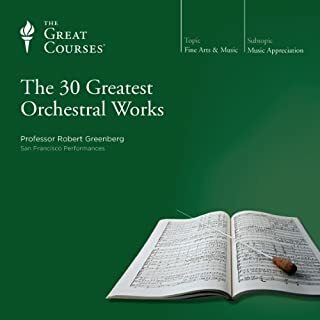 Mr. Greenburg took me on a journey through these works and through the background of the composers themselves. He also set each work in the time of their composition bringing together the composer's lives and political and economic times along with the works themselves. Then he gives a lecture on the components of the pieces. I love all 30 works and now I understand what it is about them that I like. I am still not a student of music, but now I have a greater understanding of these musical masterpieces and look forward to listening to his other course. 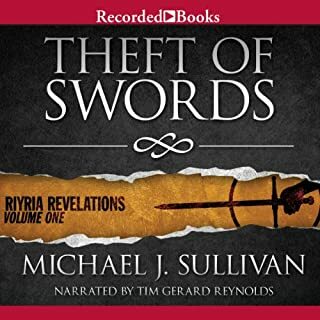 I wasn't sure I would like this book but after listening to and enjoying the sequel, I thought I'd give it a try. I was pleasantly surprised at how good it is. The story never slowed or became dull but always left me wishing I had more time to listen to it. Mr. Perkins narration was spot on and it was easy to forget it was being narrated at all. His inflections and voice moved with the characters and moment as if there were more than one narrator. My only wish is that there were more books by Mr. Hamilton as I am now a huge fan of his. I tried to like this book but could not. The narration was delivered in monotone and without performance so I quickly bored with the story. I listened to about 1/3 of it before giving up on it. 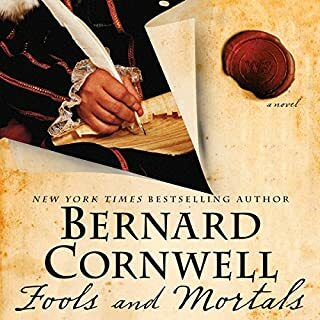 I am a huge Bernard Cornwell fan and I wanted to like this novel. But I'm afraid I did not. Now having said that, I didn't like it because it is not his typical novel. I prefer the Saxon Tales and others like it. While I did give this novel a sort of okay review, please do not pass up reading it solely on my review as it is my opinion and not fact. 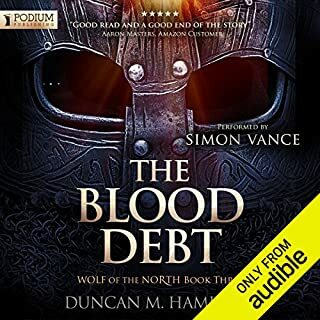 Where does The Blood Debt rank among all the audiobooks you’ve listened to so far? While book two was a disappointment in the style it was written, book three returns to the exciting style of the first book.